Sign up for Broadjam today to follow Buzzy Beano, and be notified when they upload new stuff or update their news! 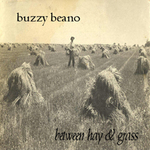 Buzzy Beano, singer/songwriter, award-winning producer, record label owner, and musician, has more than thirty-five years in the music business. Buzzy began his career as member of the poplar music group "Vince Vance and the Valients." 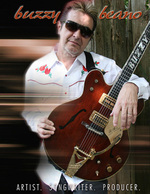 He currently performs as lead guitarist for the Topcats, a local New Orleans favorite. 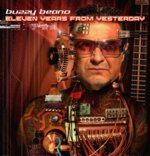 He has recorded three albums to date, Between Hay and Grass, Hopalong Catastrophe, and Eleven Years from Yesterday. #9 Saddle Sunset from "Between hay and Grass"
#10 World of Dreams from "Eleven Years From Yesterday"
Buzzy's label, Radionic Records located in New Orleans, has released 23 records and is looking ahead to exciting involvement in all kinds of recording, producing, arranging, and releasing projects on the Four Cats / Radionic label! 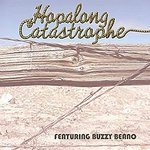 For more information go to www.fourcatsradionic.com.